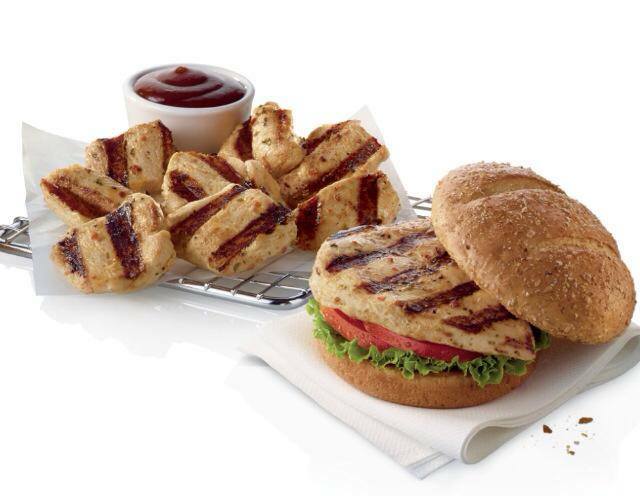 Chick-fil-A is in the midst of testing new grilled chicken as well as a new Grilled Chicken Sandwich as replacements for their current grilled chicken menu items. 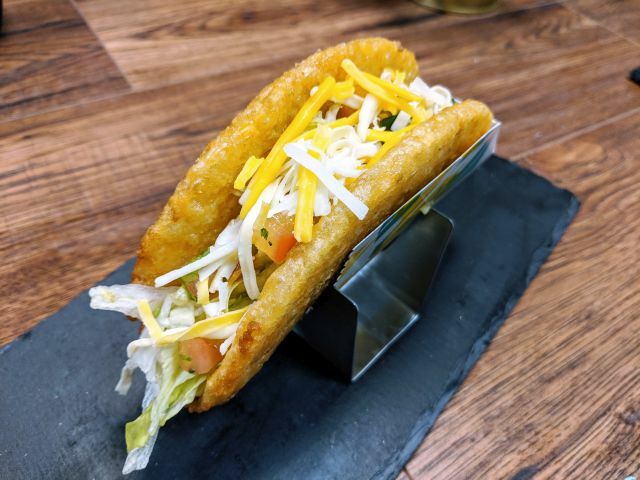 According to an employee at one of the test locations, the new chicken features a lemon herb flavor, while the previous version was marinated in a pickle juice-based mix. Also, while the previous version came pre-marinated, the new version comes pre-marinated but is also marinated again on site. Apparently, the new chicken is cooked on an entirely new grill and that the plan is for a staggered roll-out in March until all Chick-fil-A restaurants will be serving it by March 31, 2014. The new Grilled Chicken Club Sandwich is described in the following manner: "A boneless breast of chicken, marinated with a special blend of seasonings and grilled for a tender and juicy backyard-grilled taste, served on a toasted multigrain bun with Colby-Jack cheese, smoked applewood bacon, Green Leaf lettuce and tomato. Served with Honey Roasted BBQ Sauce." There's also a regular version without the cheese and bacon. The old/current version does not offer a club version. It also includes pickles, while the new version does not. The new grilled chicken change also extends to Chick-fil-A's chicken nuggets and other grilled chicken offerings. If you live in the Southern California area and want to try and compare both versions, I was told that the new Grilled Chicken Sandwich is being tested at Orange County Chick-fil-A restaurants, while locations in both Los Angeles County and the Inland Empire are still serving the old version.